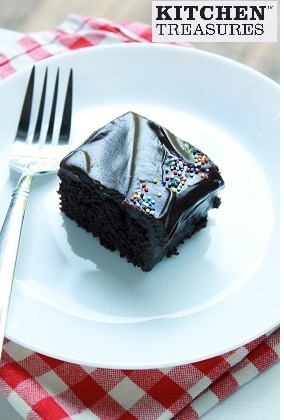 The yummy Chocolate yogurt cake will surely delight you. Preheat oven to 180 degree & prepare an 8 inch cake tin. Sift flour with baking powder & baking soda. Make a paste using cocoa powder & boiling water. Cream butter with eggs, sugar & salt till the sugar dissolves & the mixture is pale & creamy. Add flour, curd & cocoa powder & beat well. Pour into the prepared cake tin & bake for 45- 50 mins or till done. Cool in tin for 10 mins & transfer onto a wire rack & let it cool completely. Melt the chocolate & cream together on low heat till the chocolate melts. Mix well so that the mixture becomes smooth. Set it aside to cool. Frost the cake as desired.